I welcome you to the Indiana Council of Administrators of Special Education (ICASE) website. ICASE as an organization has led to the growth, understanding and empowerment of our more than 300 members for more than 25 years. 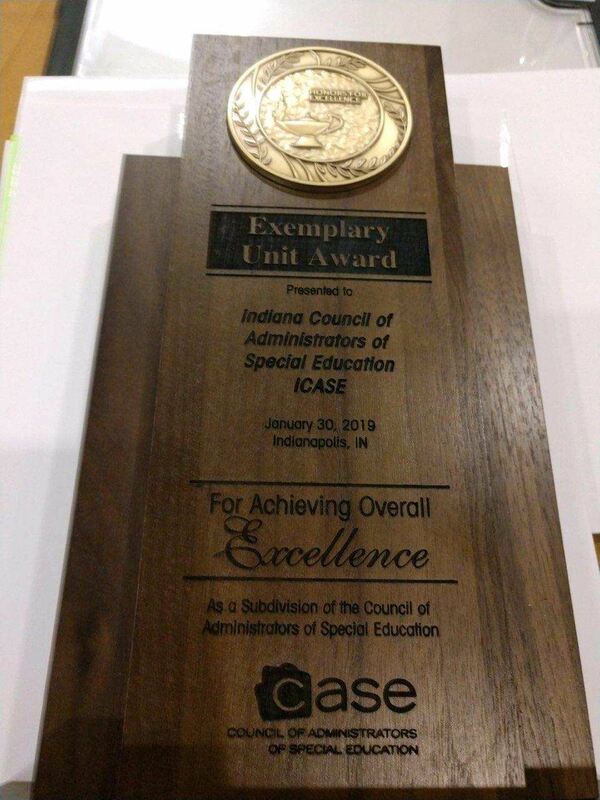 The mission of ICASE is to serve, support and represent special education administrators in Indiana in order to provide high impact learning opportunities for all students. We reach our mission by working together as a team and supporting each ICASE member as we all work to develop the potential of our students into achievements. ICASE has a nationally recognized Governmental Affairs Committee that gives each of us a voice in special education law, policies and procedures on both the state and federal level. Participating in committees, regional roundtables and conferences gives each member a chance to be heard, and allows all our members to have an impact on our students’ lives. The most important professional decision you will make will be to join ICASE. ICASE provides a way for administrators to gain information on programs, services, legal questions and research that will be helpful to you as an educator. We provide two very informative state conferences annually and many smaller regional topical conferences around the state. 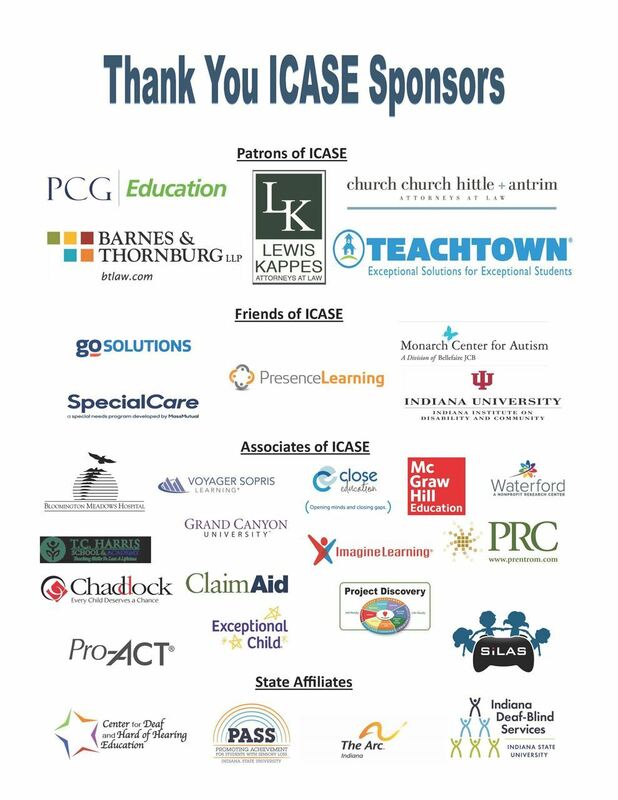 On behalf of all members of ICASE, we look forward to working together as a team to uphold and advance the mission of our great organization, while working with our members to set a path for the future of students with disabilities in the state of Indiana. Please join our team and let’s make a difference for the students, teachers, administrators, families, therapists and paraprofessionals in the state of Indiana. The 2019 legislative breakfast will be held in conjunction with the National CEC/ICASE conference on Thursday, January 31, 2019 at 7:30 to 9:00 AM. Your GA representative will be sharing more information/ talking points with you as the event gets closer. Please email Michelle Neff at meneff.icase@gmail.com with handouts, your notes, and your thoughts on CEC sessions. Your PD Committee will post all information in a Google drive and share with all members. We know we can’t all get to every session that we want so this is our way to provide you with information you desire. Thank you for all you do around our state for students with special needs. Certificate of Completion - Click Here! July 1 - June 30 each year. The Mission of the Indiana Council of Administrators of Special Education, Inc.
which impact the quality of education. 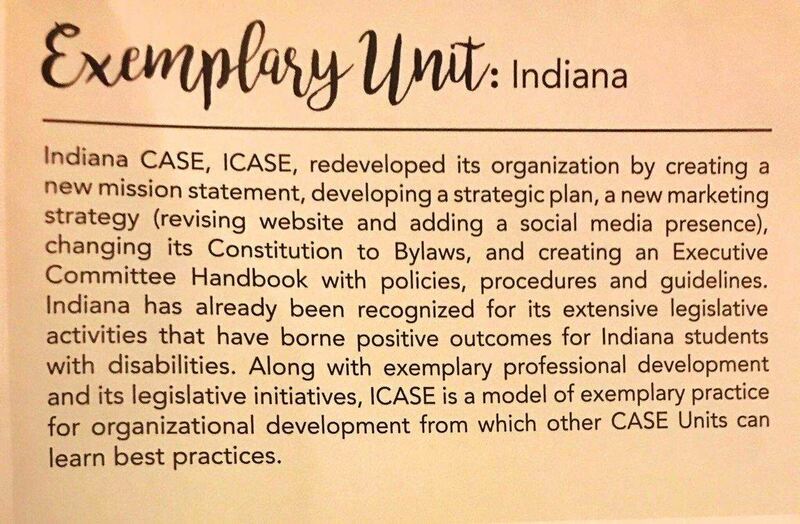 ICASE (The Indiana Council of Administrators of Special Education) is a 501(c)6 non-profit organization.